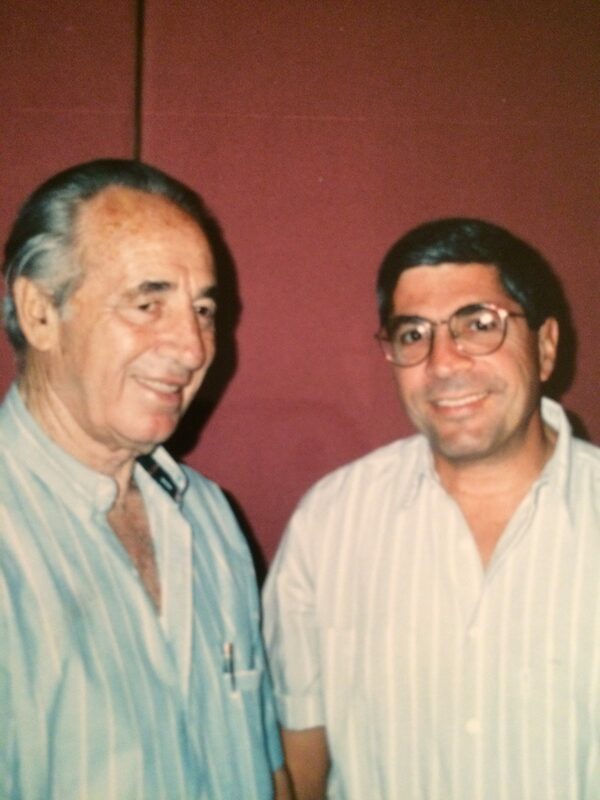 I first met Shimon Peres 25 years ago last month, as part of a small group of public officials on a fact-finding mission to Israel, sponsored by New York’s Jewish Community Relations Council. Peres, then Chairman of the out-of-power Israeli Labour Party and a member of the Israeli Knesset, talked passionately with us about peace and democracy for nearly an hour. I asked Peres to suggest some alternatives for dealing with the Golan and Gaza. “ Please give the Governor my warmest regards,” Peres told me. The following year, I accompanied Cuomo on his first trip to Israel, watching as the Governor and Peres embraced like two long lost brothers; marveling at how each resembled the other in voice, manner, gravitas and appearance. Now, Mario Cuomo and Shimon Peres are both gone, and their lives challenge us to ensure that the kind of rational thinking, compassion and constructive, visionary solutions each sought, bloom forever, like trees in a desert irrigated by man and bathed in the divine light of love and human dignity. Long Island’s Hofstra University is the perfect place to host the first Presidential Debate of 2016 between Hillary Clinton and Donald Trump on Monday night, September 26, and not simply because I’m proud of the place where I graduated from Law School in 1984. Growing up in a struggling Italian-American family on Long Island, Hofstra always represented a working family’s dream. For my mother and father, attending my law school graduation at Hofstra when both were nearing 70, was witnessing a child succeed beyond their wildest expectations. 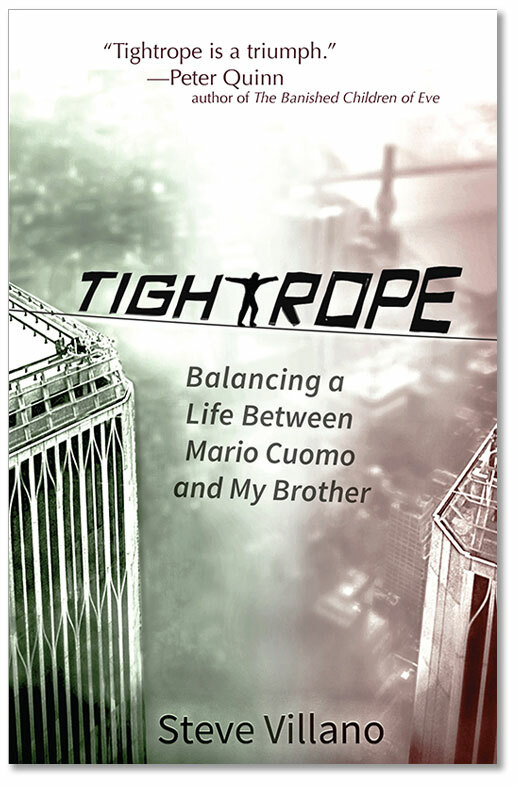 Like other Long Islanders, my parents sacrificed much by moving from Brooklyn to “the country” to give their children a better life, a backyard to play in, and a better education — the cost of which, meant higher property tax bills for many homeowners. When their children moved out of the Long Island split-level homes in which we were raised, Long Island’s working and middle-class senior citizens found themselves saddled with property tax bills that exceeded their mortgage payments. Many faced unpleasant choices: moving away from family and friends to a more affordable place; moving in with family to make ends meet, or losing their homes entirely. It was against that backdrop, as property taxes of financially strapped Long Island homeowners soared to among the highest in the nation, that New York’s Republican Governor George Pataki and both houses of the State Legislative enacted the STAR Program (NYS School Tax Relief) in 1997. 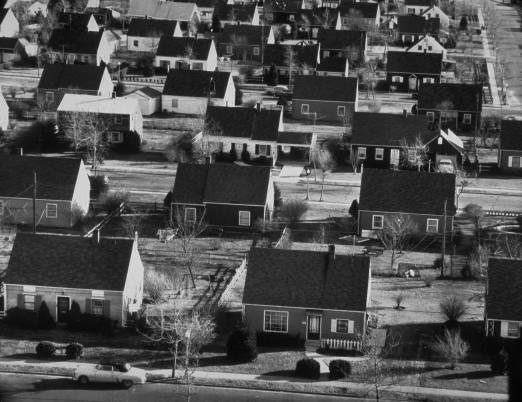 The legislative intent of the school tax rebate program was clear: to reduce spiraling school district property taxes for senior citizens on a limited income so they could continue to live in their homes.The law, promoted by many Nassau & Suffolk County legislators, was clearly designed to keep struggling suburban senior citizens in their communities. The STAR Program — which presently costs New York State’s taxpayers $3 billion per year — was never intended to benefit extraordinarily wealthy individuals, like Donald Trump. Strict income limitations were enacted in the Basic and Enhanced categories of the plan where a combined household income of less than $500,000 qualified a family for the Basic plan and an income under $86,000 for the Enhanced Benefits section. The clear intent of the legislation was that millionaires and billionaires did not warrant such tax relief. However, the New York City Tax Department reported this month that one senior citizen who applied for the “Basic” STAR property tax credit, for two consecutive years, was Donald J. Trump. In order to do that, Trump would, under the law, need a household income of less than $500,000. The Trump Tower unit for which he is claiming the exemption would have to be his primary residence. Trump’s troubling use of the STAR Program’s property tax rebate for economically hard-pressed senior citizens is made even more suspicious by the fact that he has long claimed an annual income in excess of $500,000. If his income is that high, then he used the STAR tax credit illegally; if his income is under $500,000 per year, then Trump has being lying about his income for years. In addition to hosting the first Presidential Debate this year, there are two other ways Hofstra University can serve the nation — and millions of senior citizen suburban taxpayers — in the days leading up to, and after, the September 26th debate held on the Long Island campus. Hofstra’s Law School, headed by its’ brilliant Dean Eric Lane — my former law professor and an expert on Legislative Intent and legal craftsmanship — can encourage its’ Tax Law leaders to conduct pro-bono research into determining whether the STAR property tax rebate program was intended to benefit someone as, allegedly, wealthy as Donald Trump. While they’re at it, Hofstra’s Tax Law experts, can examine Trump’s $885 million of public tax abatements and benefits and determine if he’s lived up to his commitments to NYC and NYS. Then, a small team of Hofstra Law’s professors in Ethics, a field pioneered by the legendary legal scholar Monroe Friedman, could examine the Trump Organization’s grab of $150,000 from a special 9/11 Recovery Fund, set aside for small businesses in NYC harmed by the attacks upon the World Trade Center. Following the 9/11 attacks, Trump claimed that his skyscraper at 40 Wall Street was eligible for such emergency relief funds, despite admitting that his building suffered no damage. Hofstra University is the perfect place to raise these questions at the Presidential Debate, and beyond, since many citizens in the Long Island/NYC Metropolitan Area community it serves, have an extraordinarily high stake in the STAR Program’s continued solvency, in tax fairness, and in ensuring that limited 9/11 recovery funds are used only by eligible New Yorkers. When I was a kid and visited my father where he worked in midtown Manhattan, I was mesmerized by a game I observed on street corners all over New York. All I had to do was weave my way through of a small circle of spectators to get a front row spot for watching a slick street dude flipping what looked like three cards on top of a cardboard box. 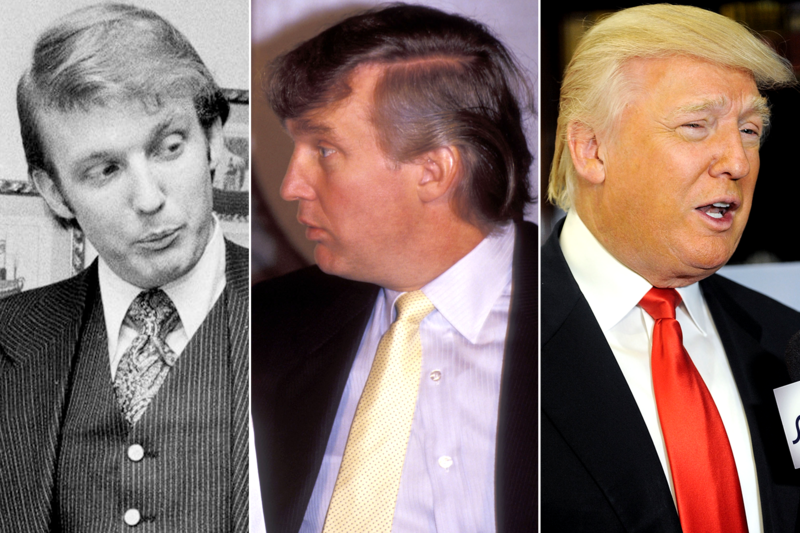 The con man usually had slicked back hair, and was wearing fancy foreign-made clothes. Inevitably, after a few seconds, somebody in the crowd would put money down on what was clear to all of us was the wrong card. If you watched these con games enough, as I did, you could almost predict to the exact second, when “the shill” would make his move, to set up an unsuspecting “mark” to step forward and challenge the dealer, convinced he could win where the “shill” did not shine. The other, more sinister, part of the 3-Card Monte con going on, was happening out among the crowd. My father, a street-smart son of Brooklyn, would motion to me to look at a few strategically spaced guys around the perimeter of the spectators’ circle and watch how smoothly they could pick the pockets of the people around them, all distracted by the intensity of the game being played on the cardboard box. The hands of the con men were quicker than almost everyone’s eyes, if you didn’t know what was going on. Three Card Monte has been on my mind a lot during this Presidential election, since Donald Trump has perfected the technique and conned millions of Americans to watch his lips, no matter how revolting the words flowing from them are, while his tiny little hands–and his minions– were quickly moving elsewhere. Like a 3-Card Monte player’s outrageous moves in plain sight up on the cardboard soapbox, Trump trash-talks Mexicans, women, the disabled, immigrants, blacks, babies and Gold Star military families. His histrionics are so unfathomable to normal people, indefensible and continuous, that few of us are watching what his shills are doing out among the crowd. Pulitizer Prize winning author and journalist James B. Stewart collapsed Trump’s flimsy cardboard soapbox this week in his New York Times, “Common Sense,” column entitled “Tax Cuts for Americans Like Trump.” Stewart, who has written such powerful non-fiction books Den of Thieves, Tangled Webs, and Blood Sport, is skilled at explaining the intricacies of Wall Street and the tax laws to his readers. He pointed out that the Trump tax plan will not only preserve the Real Estate tax breaks which have made it likely Trump has paid no income taxes at all for decades, but the Small Handed Scam Man will further enrich himself and fellow Real Estate developers to the tune of one trillion dollars in tax breaks over the next decade, at the expense of Americans who do pay their taxes. The Trump ploy is so audacious, and the con so enormous, that it too, like virtually everything else emanating from this 3-Card Trumpy Trash Talker is beyond belief, unless you look at everything else Trump had done to enrich himself at the expense of others throughout his miserable lifetime. Nothing else matters: words, slurs, insults, laws, contracts, handshakes, marriages, morality, mobsters…nothing. 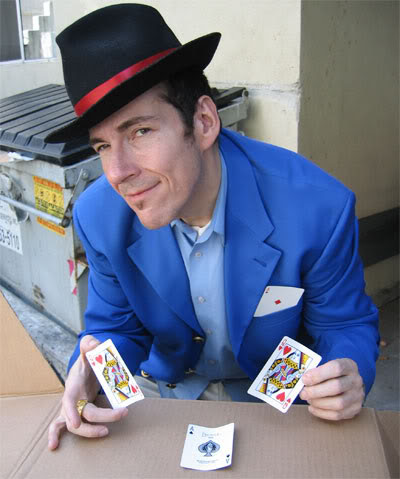 He learned the technique of 3-Card Trumpy from his father, Fred, a con-artist in his own right, who lied about being Swedish for decades because it wasn’t good for his business during Hitler’s rise to power to admit he was German, and was sanctioned by the Federal & State governments for refusing to rent to Blacks. The Small Handed Scam Man’s other amoral mentor, Roy Cohn, paid zero federal income taxes throughout his entire lowlife, by scamming the City of New York, and taking millions of dollars under the table from Mobsters he represented in court. So, don’t be distracted by the bluster and belching of fear and hate coming from the flatulent sounding con man standing atop the cardboard soapbox. Watch what his shills and sidemen are doing behind your back, and hold on to your pockets and your dignity, while I call the cops.